Are you an iSpringer? Let’s talk! Right now you’re reading E-Learning Insights, the iSpring blog. How about bringing your insights to the iSpring team instead? 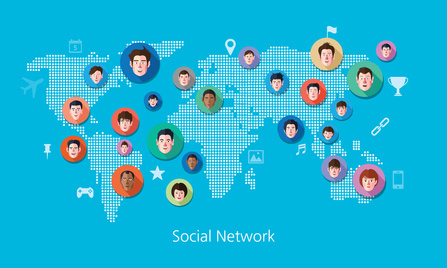 We invite you to join our community on various social networks that we’ve collected here for you. These ‘virtual classrooms’ will let you stay up-to-date with the latest news of the e-Learning world. Plus, it’s a convenient way to get in touch with other iSpringers and the iSpring experts themselves. Feel free to explore our communities on different networks and choose the one(s) according to your needs and social taste. Our Facebook followers (who number more than 5,500 now) have a unique opportunity to stay aware of e-Learning trends, iSpring news and creative contests. The winners are also unveiled here. All iSpring news and fast facts in concise 140-letter messages. Twitter is a real goldmine for e-Learners. This social network has been ranked # 1 in the list of «Top 100 Tools for Learning» for 7 years in a row since 2009. The followers of this network don’t miss iSpring news either, as the news digest is always kept up-to-date. 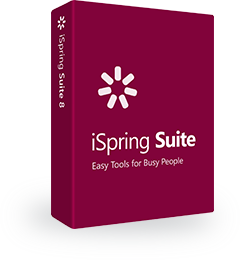 This professional community is a great chance to get in touch with various specialists from the iSpring team. See who’s behind the success of your favorite e-Learning tools, and let them answer your questions first-hand. See how the iSpring Team works and plays in a mosaic of iSpring daily life photos. Marketing-free – just real people! A wide collection of expert interviews and video tutorials that facilitate e-Learning authoring. Join our communities, but don’t forget about this blog either. Ask questions, leave comments and suggestions, share your experience – we’ll answer you soon after. Stay tuned!